Fits machines with 1.5" to 2" ROUND roll bars. NOTE: Not compatible with USB cords. Audio system plays music through Bluetooth and Aux port. Looking for something that will add a little more excitement to your machine? 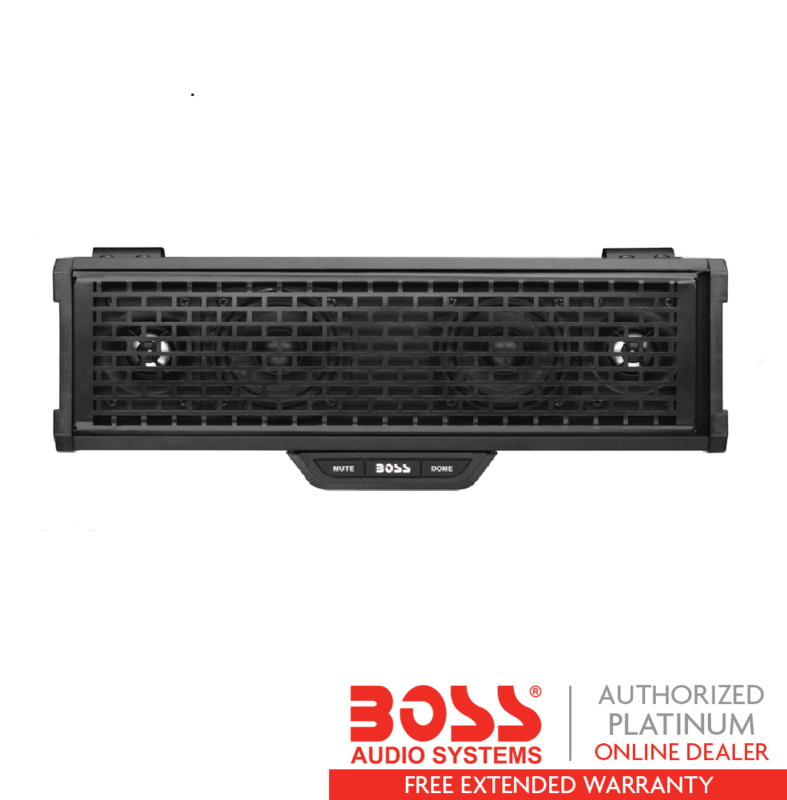 The Boss 14 Inch Riot Bluetooth 4 Speaker Audio System is just what you're looking for! 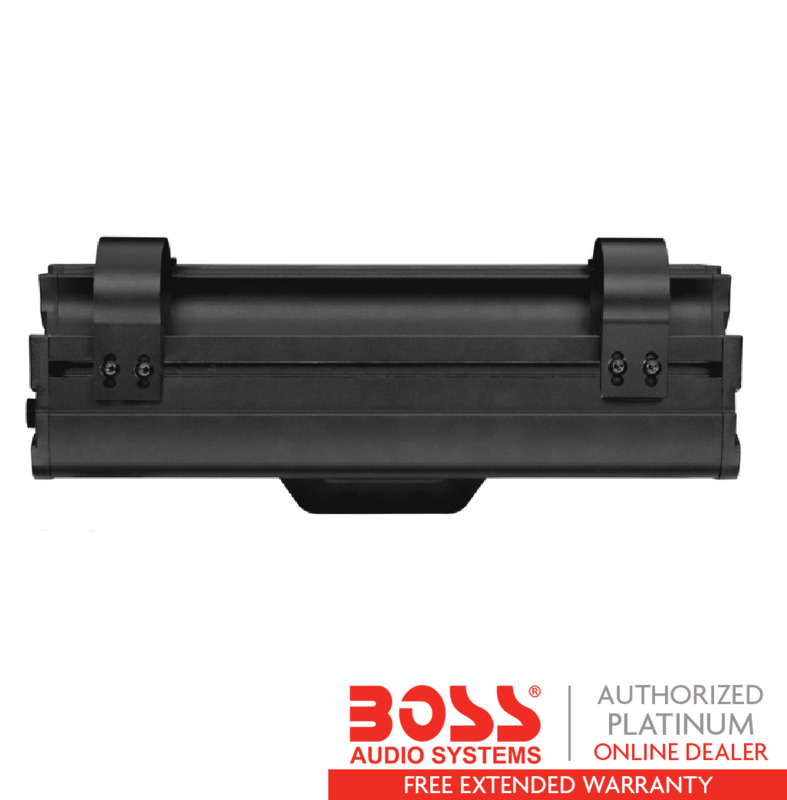 We all know that music makes everything better and this audio system will not disappoint in providing exceptional sound quality for your favorite tunes. 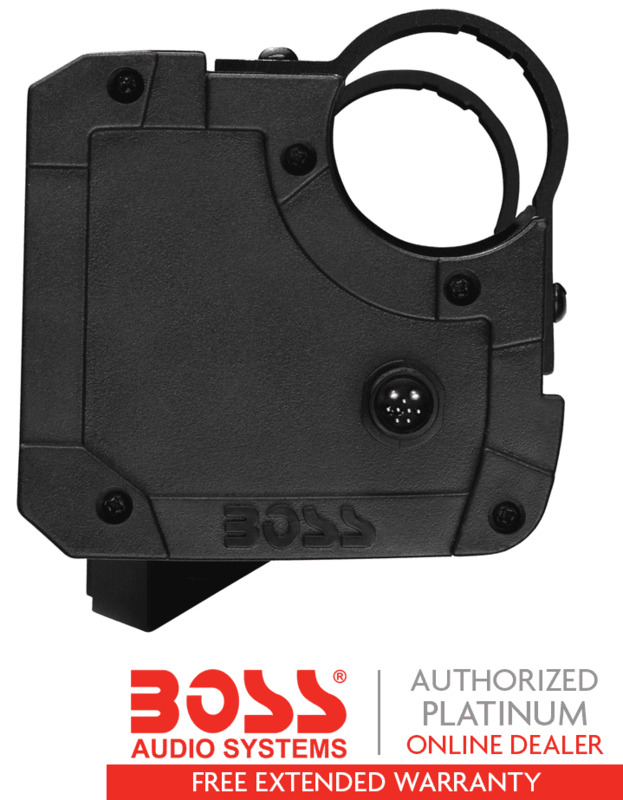 Be the envy of your crew with this great Boss Audio System from Side By Side Stuff! 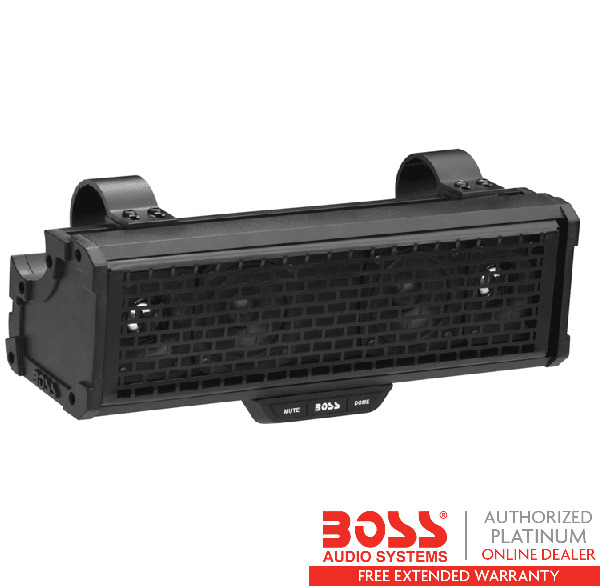 With multi-angle adjustable clamps that fit bar diameters between 1.5 and 2 inches, this audio system is perfect for both ATVs and UTVs. 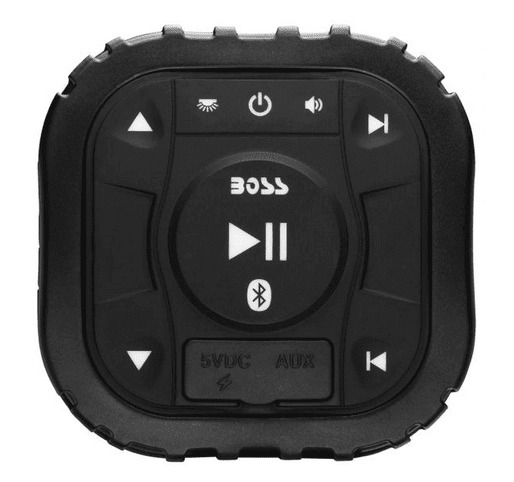 Bluetooth audio streaming allows you to play music from your favorite music apps or use the 3.5mm aux input to listen to music from your smartphone/MP3 player. This weather proof unit is quality made and will provide listening enjoyment for you and your friends for many years to come. Does the wire harness come with unit or is it a separate cost? The audio system does come with the wiring for installation. I haven't installed in the side by side yet but the sound from the 14 inch bar is incredible! I was torn between the 27 inch and the 14 inch and decided to get the 14 inch because of cost. I am blown away at the sound of this thing... LITERALLY!!! It has great bass as well from the little 3 inch speakers. Don't hesitate, buy this thing and you'll love it! Everything I have gotten from side by side stuff has been excellent, fits my machine and performs as advertised. Love the sound bar. It is very loud. Sounds good.